To help keep your interior environment hypo-allergenic, we install and maintain a variety of air quality components, including electronic and media-based cleaning systems and ultraviolet mold irradiators. These can significantly minimize the presence of viruses, dust, smoke, and other unwanted particles in your home. All Season Heating and Air Conditioning specializes in making your indoor air cleaner and more comfortable. 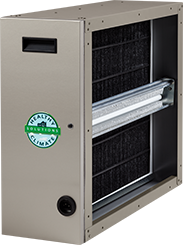 We can install a Healthy Climate PureAir System with your furnace to clean and purify your air quality. The Healthy Climate PureAir System cleans the air inside your home better than any other system you can buy. Studies show that the inside of your home is 2-5 times more polluted than the air you breathe outside. These pollutants can be a key contributor to asthma, allergies and other health related issues. 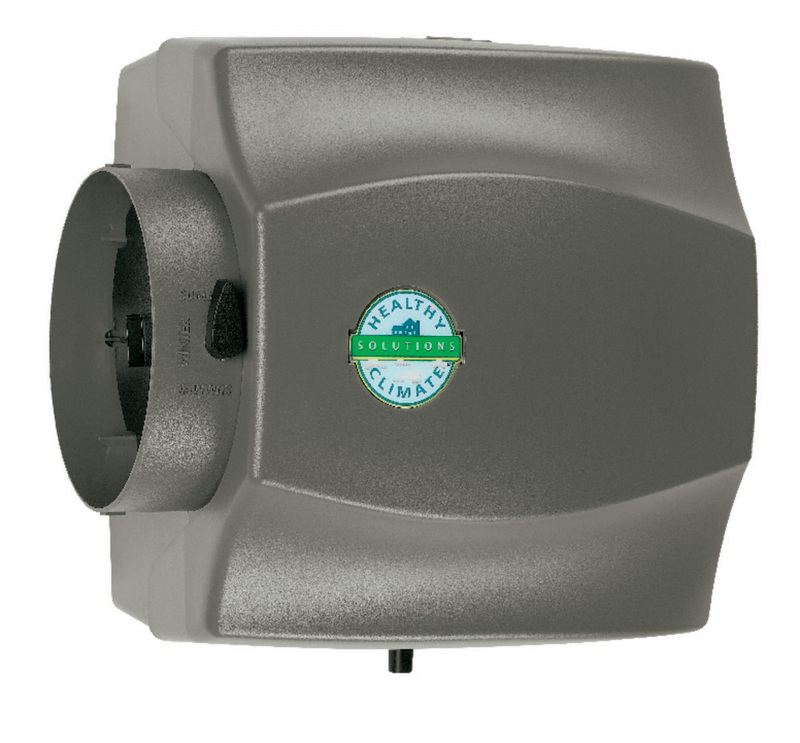 The carbon clean 16 filter captures particles and bioaerosols as small as .01 micron, removing them from the airstream – contaminants that standard filtration systems simply cannot stop. As the odor-and-chemical-vapor-filled airstream flows through the PCO cartridge, the airstream is exposed to the catalytic surface (titanium-dioxide-coated PureAir cartridge). The light energy from the UVA lamp and catalyst work together to break odors and chemical vapors into harmless carbon dioxide and water with no harmful by-products being produced. The PureAir system comes with a 5 year limited warranty on all covered components. Maintain optimal comfort during the heating seasons by minimizing problems associated with dry air. Create a healthier home and lesson skin irritations, sore throats and respiratory problems. Protect home furnishings by reducing the risk of wood warping and cracking. Enjoy the ability to monitor and adjust your temperature from anywhere in the world with an iComfort Wifi thermostat from Lennox. The bright, clear screen is easy to read in any light and easy to operate. 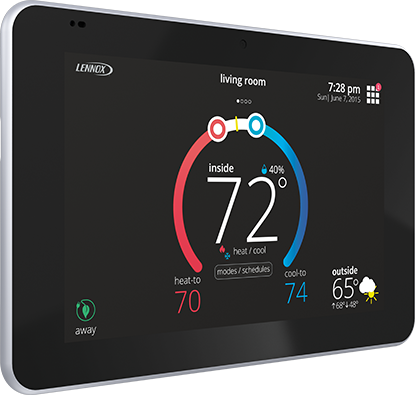 View the 5-day forecast from your thermostat so you know what Mother Nature has in store, and make life easier on yourself by programming a schedule into the thermostat so you are saving energy when your away from home, and comfortable when you are home. Your air ducts are ideal breathing grounds for fungus, molds, spores and bacteria. They couldn’t ask for a darker, damper, more optimal place to grow! Whenever your forced air furnace or air conditioner is running, these contaminants are blown into your home along with dirt and dust. 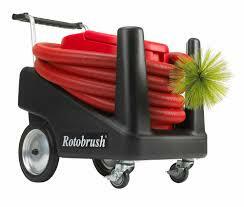 With the use of our top of the line equipment, which includes powerful rotary brushes, high-powered air pressure machines, and powerful vacuums, you can rest assured that you and your family will breathe fresher, cleaner air. 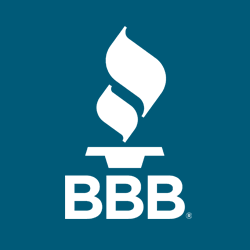 Also included with our duct cleaning service is having your furnace cleaned by a professional service technician who knows the ins-and-outs of a furnace. Should You Have the Air Ducts in Your Home Cleaned? For this answer and more, click here.